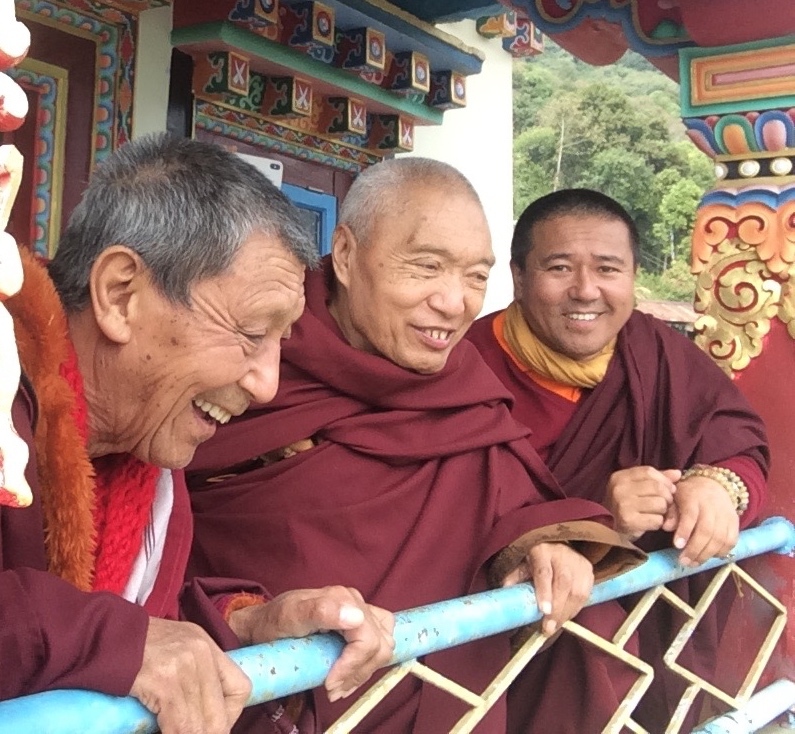 In the Spring of 2018, His Eminence Namkha Drimed Rinpoche along with the Tsemo-las, Alan Goldstein and monk attendants visited the sacred region of Besyul Pemakod. Known as “The Hidden Land,” Pemakod is located on a secluded plateau in the Himalayan mountains. This exquisite, ancient land was once part of Tibet. Untouched by outside influences, this sacred region remains as spiritually pristine as in the time of Guru Padmasambhava, who practiced extensively in many caves there and blessed the land with the concealment of many sacred treasures. It is therefore, one of the most sacred and rare places in today’s world for spiritual practitioners to meditate and practice Dharma. Because of frequent prophecies by Guru Padmasambhava and Khandro Yeshe Tsogyal, Dudjom Lingpa greatly aspired to be in Pemaköd. He told his disciples, “Now, in this degenerate age, go to the sacred land, Pemaköd, those of you who rely on me. Before you young ones get there, I, the old one, will already be there.” Thus, many of Dudjom Lingpa’s students moved into Upper Pemaköd, where H.H. Dudjom Rinpoche was born and where he established the Dudjom lineage, which became a treasured lineage practiced throughout the Pemaköd region. 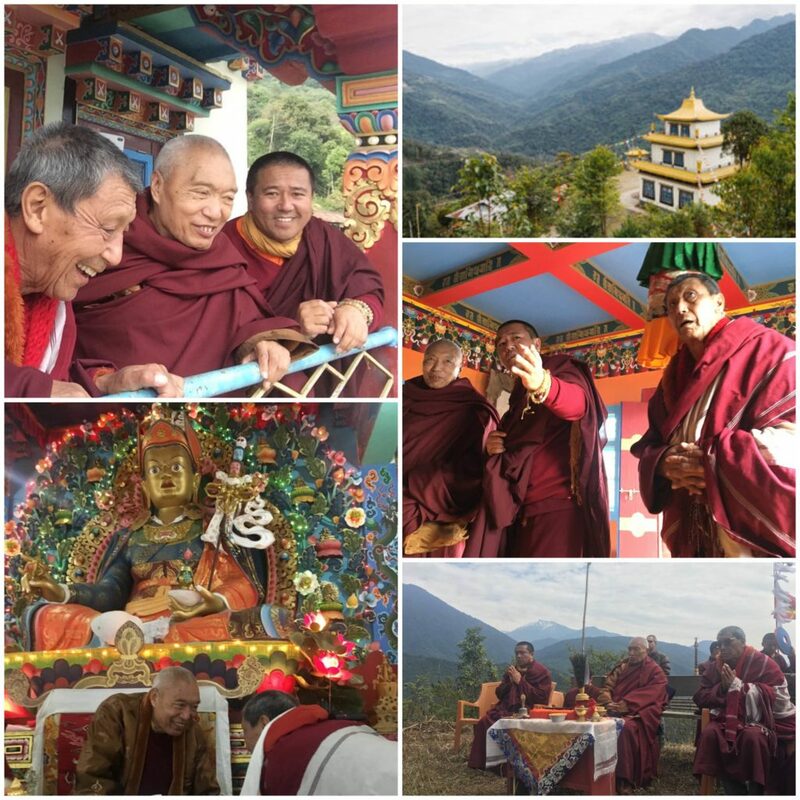 His Eminence traveled to Lower Pemakod in Arunachal Pradesh at the invitation of Tulku Orgyen P’huntsok who is a reincarnation of a close disciple of H.H. Dudjom Rinpoche. Tulku Orgyen P’huntsok and his father Lama Rigdzin P’huntsok recently restored the retreat land and built the Deden Tashi Choeling Temple in the style of Zangdok Palri, the Lotus Light Palace of Guru Rinpoche. His Eminence gave empowerments there and conducted a fire puja on the land.